Looking to find an easier way to manage your music files? 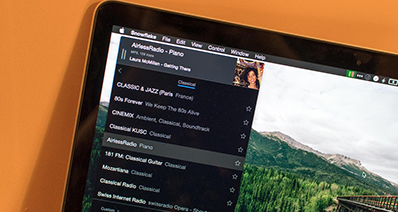 Most of us have music stored on our desktop or laptop and find it difficult to categorize them. It’s easy to understand the problem – we can store music files in different folders. 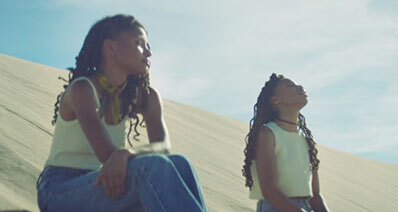 There can be duplication of many music files. Plus, you would find it much difficult to categorize music if it’s unorganized. This is why the audio tag editor Software helps. 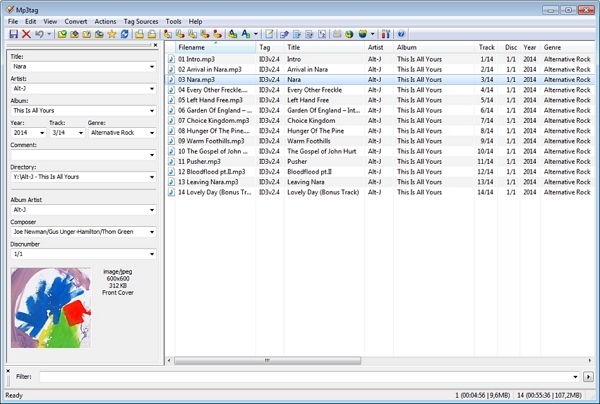 Audio tag editor Software is a great way to manage the music files. Well-tagged collection gives you an organized pool and makes it easier to search. Therefore, which is the best audio tag editor software that helps you tag your music collection? iMusic is a useful add-on for iTunes. iMusic is simple to use and carry huge database of fingerprints to make your music clean much easier. 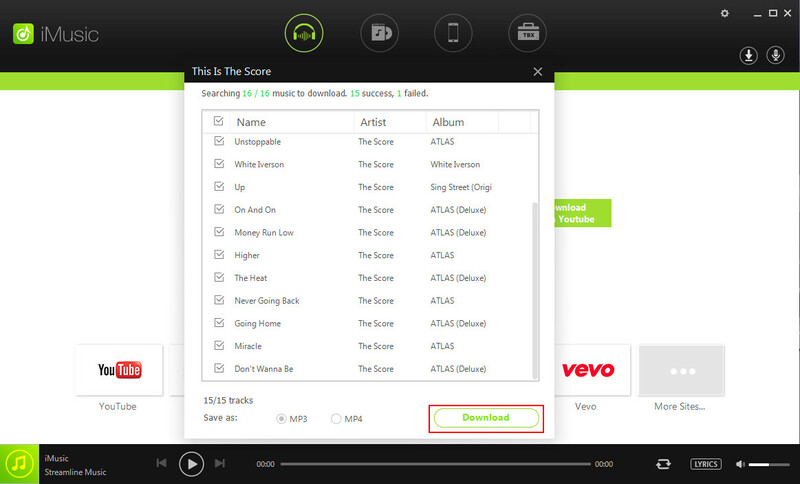 Its free version is limited and you can manage a few of songs. Full version is unlimited and gives you complete features. It scans around 2000 tracks in a few minutes, which is fast. It is one of the best audio tag editor software out there and it doesn’t matter whether you’re using Mac or Windows, you’re sure to love it. -	Huge database of acoustic fingerprints around 90 million. 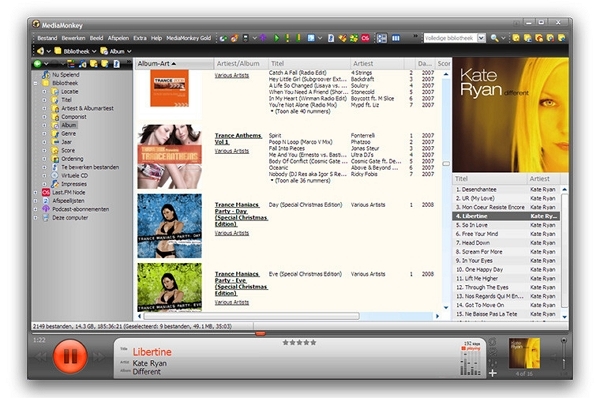 It is an alternative to itunes if you like to play music on Windows system. After importing the music collection into Media Monkey, you can update your tags with ease from sources like Freedb and Amazon. If you have incomplete or incorrect ID3 tags, it will verify them automatically and notify you. Price: $ 49.95 for Lifetime License. -	It automatically flags the corrupt or mismatched ID3. 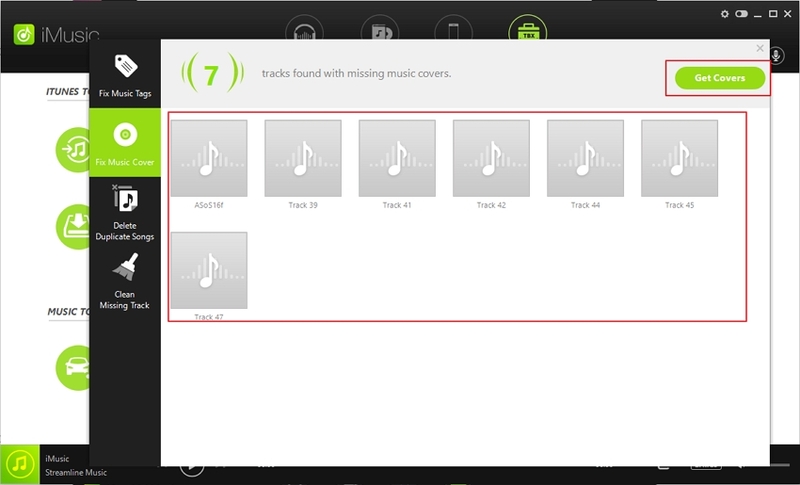 -	It automatically organizes the music in folders depending on the ID3. -	For those looking to clean flag, free version is well equipped to that. -	It is only for Windows operating system and works independently of music players. -	Price is higher than other. This audio tags editor software has wide spread user base since its release. There are not many automated processes attached with it by which gives you a deep control over your tagging needs. It uses the Freedb to add the information to your files. You will get the quick edit box if you want edit it quickly. 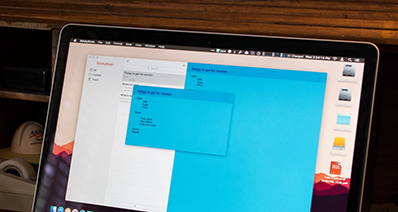 -	Gives you great control in tagging your files with minute details. -	It is completely free. -	Quick edit option if you're not interested in obscure tags. -	Development has been stopped hence no further updates are expected. -	There is no online help, hence you might have to dig through to get hang of the software. This audio tags editor software has user maintained metadatabase. In addition to using available information of a file, it also uses acoustic fingerprintings. 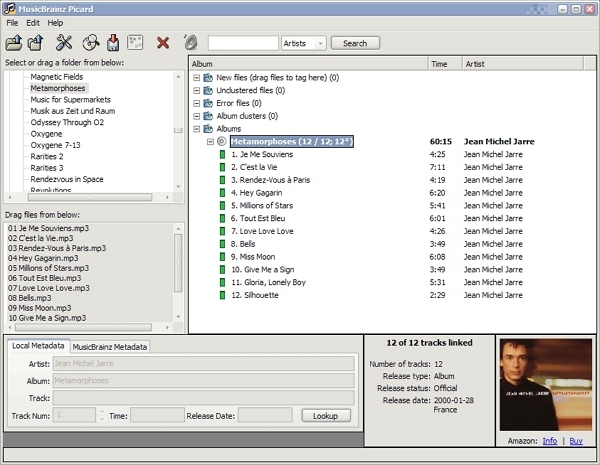 Picard as the developer has used highly developed tagging tool, which has all the latest features and powerful scanning. It is open source, hence you can tweak it according to your needs. Supported OS: Windows, Mac and Linux OS. -	It is open source and hence constant updates are released. -	Automatic scanning and drag-drop features. -	As users maintain the database, it is wide database, which constantly gets updated. -	As users enter the information, information may be inaccurate sometimes. -	Scanning may get slow with huge library. 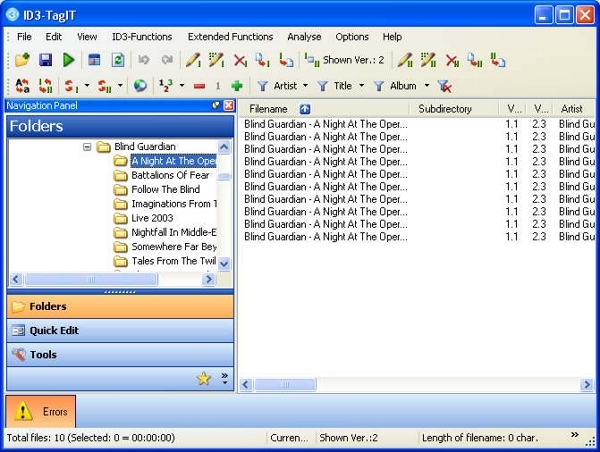 This audio tags editor software has intuitive interface that makes everything easy. Using this tool, you can edit your MP3 tags as well as specific tags. If you have file name which uses various information in the title, you can perform the conversion into actual tags. Supported OS: Windows and MAC OS. -	Intuitive interface and use databases from Freedb, Amazon, Discogs etc. -	You can back tags to avoid issues like tag corruption etc. -	Expression based renaming to allow reformatting of you files naming styles. -	Looks a little primitive to other as lots of work is done manually. -	Requires you to download, a downloader to download and install this software, even when its size is a mere 3 MB. 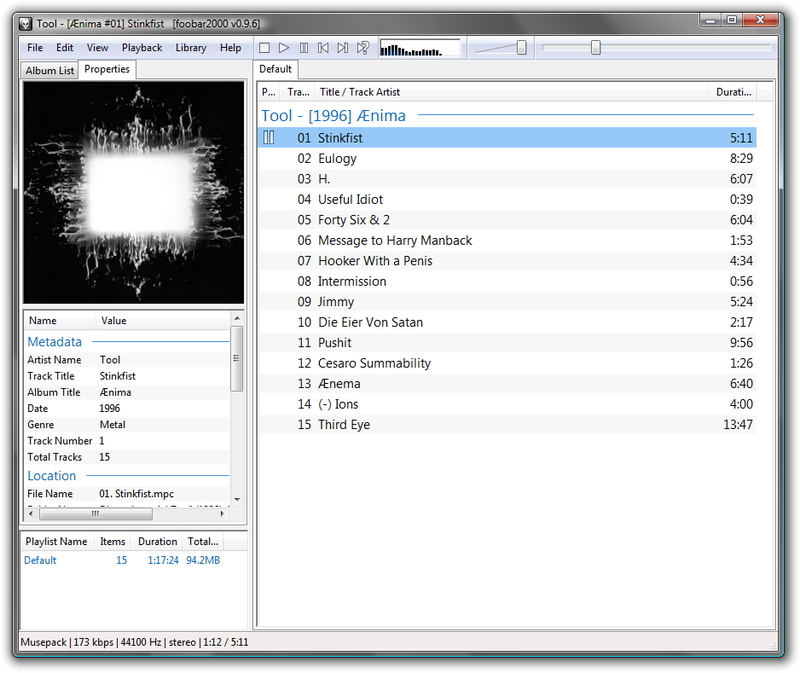 Though this audio tags editor software is a music player, it also gives you great features to tag editing options. You can use this audio tags editor software to fix the tag issues even while playing music, something you cannot do with many other tagging tools. It gives you robust, and automated scanning option. There are many customizations from different users and so you’ve aplenty choices. Price: It is free to download. -	It is music player that gives you editing capability. -	Great customization options compared to other software to make it look good. -	Uses Freedb to synchronize the information of tags, which is a reliable source. -	As it is a player in itself unlike some of the other audio tag editor software, the tag editing does not work with other music players. -	Some customizations can hamper the performance of the software, and you need to be careful when making the modifications. Before downloading the software, please visit the sites go through the manuals and guides. Check the prices as they keep on changing with newer updates.